With the June 15, 2010, release of Pushing The Envelope on Heads Up International, a division of Concord Music Group, Albright’s super cool side is back. 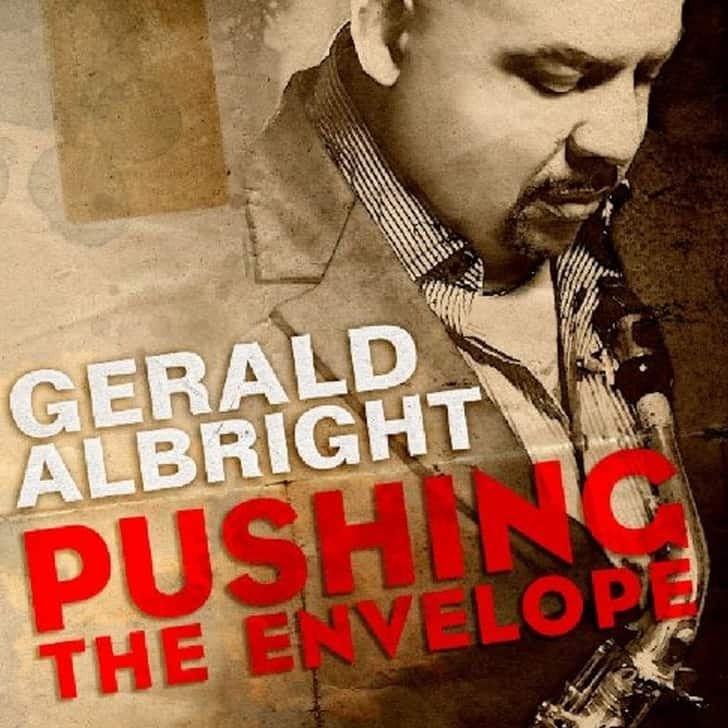 With its polished soul/jazz vibe, Pushing The Envelope is a showcase for Albright’s remarkably fine balance of songcraft and musicianship, and features special guest appearances by Fred Wesley on trombone, Earl Klugh on acoustic guitar and George Duke on acoustic piano. Produced and arranged by Albright, Pushing The Envelope provides the perfect opportunity for this master musician/saxophonist/songwriter to exhibit his skills. He plays soprano, alto, tenor and baritone saxophones, flutes, bass guitar, and keyboards, and also handles synthesizer, EWI and drum programming. Albright’s band on most of the album includes keyboardists Tracy Carter and Luther “Mano” Hanes, guitarist Ricky Watford and drummer Ricky Lawson. The set opens with “What Would James Do?” an irresistibly soulful Albright original and a celebration of the legacy of “The Godfather of Soul.” The track spotlights Albright’s trademark strong chops on saxophones and bass, alongside the distinctive sound of Fred Wesley of the original J.B.’s on trombone.